Douglas Kirk studied musicology at The University of Texas at Austin (M.M.) and McGill University (Ph.D.), and early music performance practice at the Royal Conservatorium of Music in The Hague, Holland. 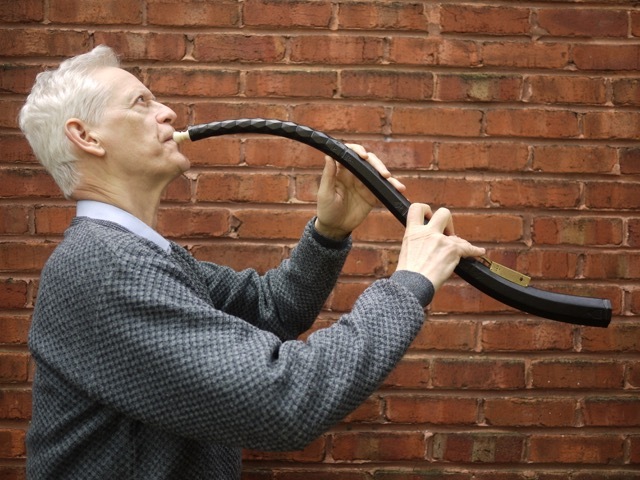 He is a well-known cornettist and shawm player, and has concertized widely throughout the Americas and Europe and can be heard on numerous recordings of seventeenth-century Venetian, Spanish, and German music with professional ensembles from London, England, Boston, and Montreal. Dr. Kirk taught music history at Concordia University and McGill University and directed early music performance projects at The University of Texas and McGill University for many years, as well as teaching cornetto and other early wind instruments at those institutions and also at summer early music festivals in the US, Canada, and Spain.